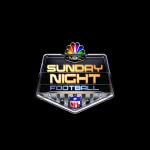 John Williams' much talked about theme for NBC's return to the NFL, SUNDAY NIGHT FOOTBALL, has just been made available for download. The theme has a strong militaristic style, evoking more thoughts of "droid armies" than "olympic gold." Still, NBC should be honored to have the talents of Williams grace their return to the NFL. "It has been great fun and a rare privilege to have been asked to contribute music for NBC's broadcast of one of our country's greatest traditions – football!" said Williams. "The outstanding athletes that play this game are similar to our great musicians in that they all require complete dedication and rigorous daily practice to stay sharp. I can also say that the members of our orchestra are all avid football fans and they were very excited when, on the day we recorded this music, we were visited by Al Michaels. " Download and listen to the theme it here.